In my previous post ‘Tribute To Steve Jobs‘, I’ve mentioned that I really love Pixar Studio’s animated movies. And I’s also posted that I think Toy Story (1995) and Toy Story 2 (1999) are two of the best animated films that Pixar has ever made. So one would expected me to own some Toy Story collectable toys. But, in reality, it is not the case. The main reason, as I look back, is because Disney kept on putting out toys that looks like they are some bootleg figures from hell. 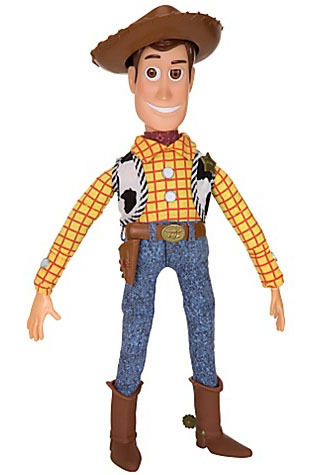 For example below to the left is an authentic Disney’s Talking Sheriff Woody doll. 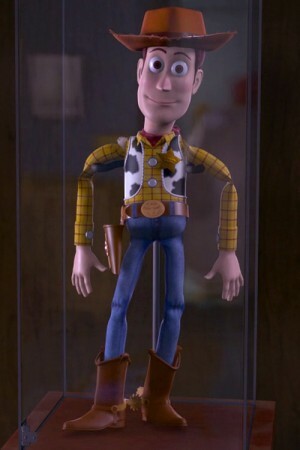 While to the right is a screen shot of what Woody looks like in Toy Story 2. Now as you can see the resemblance is remote at the best. Disney’s toys look like something coming out of a horrible Halloween costume party. I wasn’t really a diecast model car collector, but ever since I bought those Porsche Boxster models, I started to buy more 1:18 scale model cars. So here’s some of the new additions. First let me start with something old. 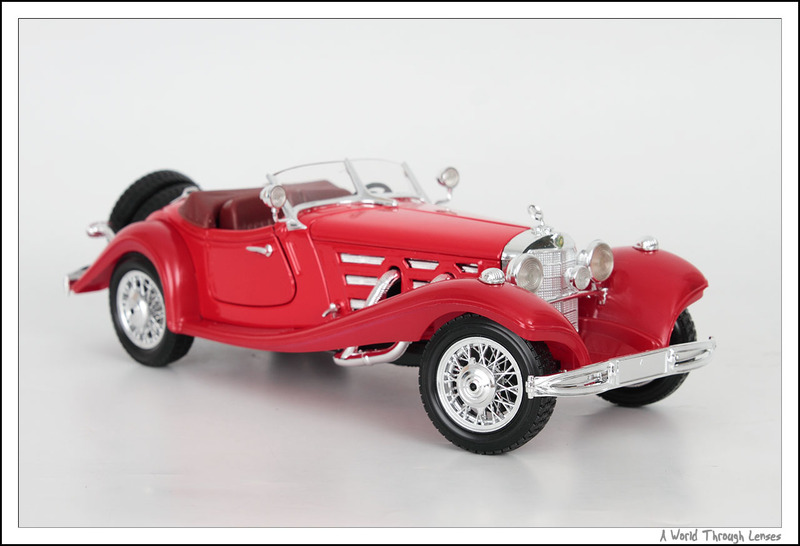 This is a 1936 Mercedes Benz 500K Roadster diecast replica made by Bburago. I like these old cars because I like the smooth curved designs these car has. These days most of the cars are very angular and very mechanical, while in the old days cards are much more organic with smooth curves. With the addition of Saber Fate/Extra Version and Saber Alter 2nd Version banner on the side of the web site, you can probably guess that this is coming: Yes, I have ordered everything Volks has to offer from this TYPE-MOON x Dollfie Dream project. Dollfie Dream Saber Fate/Extra Version, Dollfie Dream Saber Alter 2nd Version, Saber Alter’s Training Jacket Set, and Saber Alter’s Swimsuit Set, one of each will be coming to me from Volks USA by April of 2012. The total of the spending spree came out to be 1,569 USD + 91.75 USD for shipping to Canada. Expensive indeed, but consider that Dollfie Dream Saber Lily was 1,045 USD, the price for these two dolls are much reasonable. The pre-order closes on October 30, 2001, so there’s still just over a month to place your order. 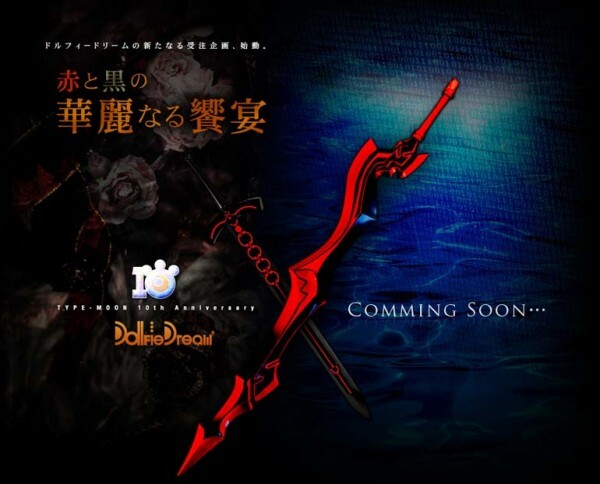 As part of TYPE-MOON founding 10 years celebration, Volks is working on a new pre-order Dollfie Dream project. And surprise surprise, Saber Alter is getting a 2nd release together with Saber Nero. Kaiyodo (海洋堂) made a lot of action figures in the Revoltech lines. At the end of 2007, one of those series being produced as a line of Revoltech toys is Yotsuba&!. There was a few character action figures in that series as well as Danboard (or in Japanese it’s Danbo ( ダンボー)). 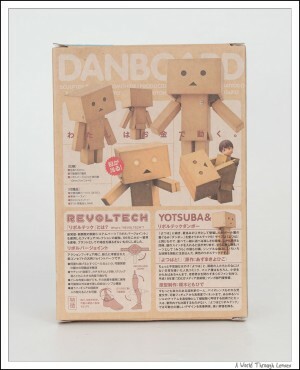 Danboard is a cardboard box robot costume wore by Hayasaka Miura in the Yotsuba&! manga. When the Revoltech Danboard action figure was released, I thought it looked a bit plain. Then comes the amazon.co.jp box version which has amazon.co.jp prints on all the cardboard boxes and that made Danboard looked like made out of Amazon Japan’s shipping boxes. That was really interesting since I do buy things from Amazon and from time to time have Amazon’s boxes lying around the house. But since Amazon Japan does not ship toys internationally and I didn’t want to pay deputy service’s high purchase service fees, I didn’t get my hand on it back then. One day while casually browsing through Amazon Japan, I saw the amazon.co.jp version of Danboard and Danboard Mini is marked as pre-order again. Apparently Danboard and Danboard Mini is being re-released. So now with Tenso package forwarding service at my disposal with their much cheaper fees, I placed order on Amazon Japan for the amazon.co.jp version of the Danboard and Danboard Mini. And so now, three and half years later, I finally have my very own Danboard and Danboard Mini. Kaiyodo Revoltech Yotsuba&! Danboard amazon.co.jp Box Version. Original sculptor 榎木ともひで. Re-released on April 2011 with a price of ¥3,980. Here’s the box for Danboard. 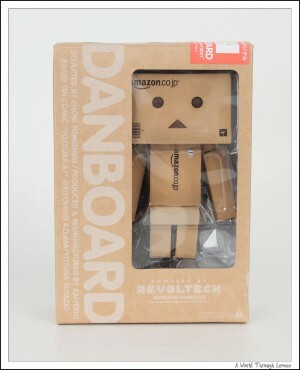 Since Danboard is a cardboard box robot, its container also looked kind of like a cardboard box.